Wells Fargo is taking back another $75 million from two top executives, including the former CEO, blaming them for playing central roles in the bank's fake account fiasco. Wells Fargo's (WFC) board on Friday took back an additional $28 million from John Stumpf because the longtime CEO was "too slow to investigate or critically challenge" the bank's sales tactics, the 110-page report said. As part of the latest investigation, Shearman & Sterling lawyers hired by Wells Fargo's board conducted 100 interviews of current and former managers, employees, directors and others and searched through 35 million documents. The lawyers also combed through hundreds of interviews of lower-level employees that were conducted by Wells Fargo. Wells Fargo's broken culture was first publicly revealed last September, when it reached a $185 million settlement with the government. The news set off a firestorm of criticism and led to Congressional hearings, more than a dozen investigations and lawsuits, the sudden retirement of Stumpf, and forced Wells Fargo to eliminate unrealistic sales goals that promoted cheating. Stumpf told Congress last September that he is "fully accountable for all unethical sales practices" and acknowledged he should have done "more sooner" to address this. During the board investigation, Stumpf was "totally cooperative," though he didn't express "regret" of his actions, according to Stuart Baskin, the Shearman & Sterling partner who led the probe. 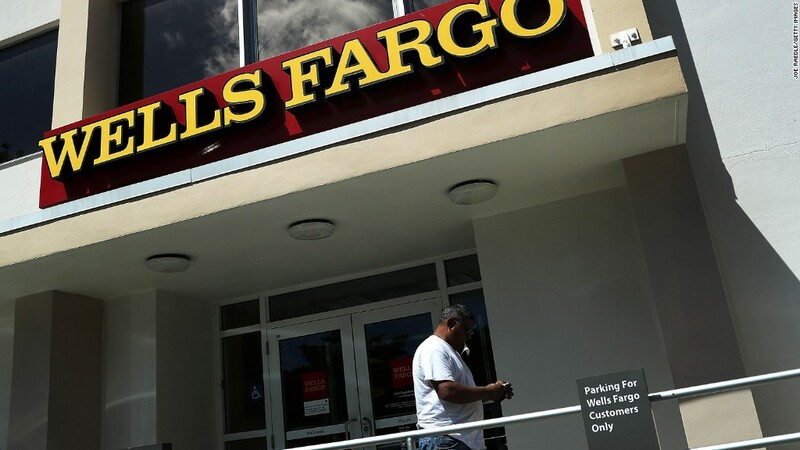 Tolstedt did not cooperate with the investigation on the advice of her lawyers, Wells Fargo's board said during a conference call with reporters. The report hit Tolstedt particularly hard, saying she "resisted change" to the sales model "even when confronted with evidence" it led to improper sales tactics. "Instead, she reinforced the high-pressure sales culture" and was "scared to death" to abandon controversial programs that led to bad sales practices, the board said. The investigation said Tolstedt "hindered" investigations and kept from the board how many people were fired for sales violations. Incredibly, the board said wasn't aware of the 5,300 firings, and found out at the same time as the public when it was mentioned in the September 2016 settlement. "We strongly disagree with the report and its attempt to lay blame with Ms. Tolstedt. A full and fair examination of the facts will produce a different conclusion," Enu Mainigi, Williams & Connolly lawyer representing Tolstedt, said in a statement. Former Wells Fargo employees have described an atmosphere of fear, where they were scared of speaking up about illegal activity. Almost half a dozen Wells Fargo workers told CNNMoney last year that they were fired after calling the bank's confidential ethics hotline. More recently, the federal government ordered Wells Fargo to rehire one fired whistleblower and warned it may force the bank to welcome back another. However, the board report released on Monday said that after a "limited review" Shearman & Sterling "has not identified a pattern of retaliation" against bank employees who complained about sales pressure or practices. Sloan, who replaced Stumpf as CEO, appears to have emerged from the investigation largely unscathed. Wells Fargo Chairman Stephen Sanger said the board does not "anticipate any further employment or compensation actions" stemming from this investigation. Sanger said that the investigation "found that Tim had very little contact with sales issues" because he mostly worked in a different part of the bank. While Sloan didn't come up through the community bank, he did serve as a senior executive as chief financial officer and chief administrative officer. Still, Sanger said the board has "total confidence in Tim" and is "very, very encouraged" by the actions he took once he became CEO, including replacing Tolstedt. The scandal has put pressure on Wells Fargo's board, too. Last week Institutional Shareholder Services, a shareholder watchdog group, recommended that Wells Fargo investors vote against the directors due to lax oversight. Asked why he shouldn't step down as chairman, Sanger acknowledged that the Wells Fargo board could have "pushed more forcefully" to remove Tolstedt. However, he said the report found the board "took the appropriate actions" once it became aware of the problem. In a separate statement, Wells Fargo CEO Tim Sloan called the board's findings a "critical part of our journey to rebuild trust" and acknowledged management "took too long to understand the seriousness and scope of the problem." Sloan promised that the tactics and pressure that hurt employees, customers and the Wells Fargo reputation "will never be allowed to occur again." Senator Elizabeth Warren, one of Wells Fargo's toughest critics, said on Twitter that the clawbacks are a "good step," but "no substitute for a thorough" government investigation. Wells Fargo still faces around a dozen investigations and lawsuits, including probes from the SEC and Department of Justice.